It’s Sunday, the last day of January, and I’ve missed my every-five-day posting deadline. By one day. Please forgive this since I thought about including the final six questions in the calendar of questions in one final post. February will be about sharing news from reviewers, readers, writing more posts about creativity, the process, and even bigger news as I look to the future in my own writing life. Enjoy Wake Me Up. I recommend it to anyone struggling with similar issues, depression, being closeted, LGBT issues, adultery, parental neglect, sibling rivalry, and basic family life in this day and age. Please share your thoughts in the comments below. I love Wake Me Up‘s genre because . 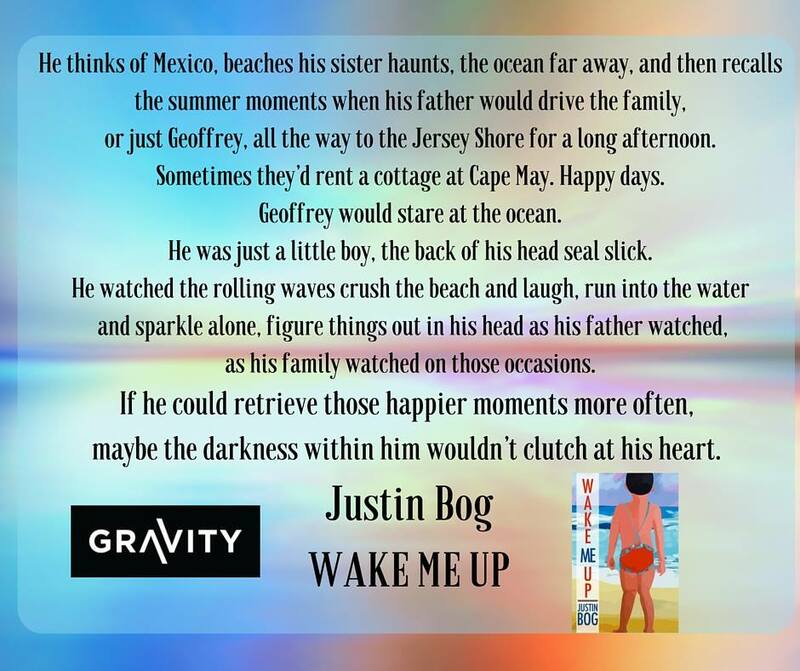 . . Well, Wake Me Up is in the crime genre, a bit more literary in narrative structure, and it also has a psychological suspense feel when reading and keeping the pages turning . . . trying to answer this one simple question: What will happen next? It’s my first foray with a character-based structure centered on the fallout of a heinous crime. I wanted to see how a crime hits one family, and the people closest to them, and then the characters thrice removed from them, and then strangers who may simply read about the crime while eating breakfast and comment on it, or not. This is real life to me, and I wanted a naturalistic tone even though the story is being told by someone who is in a coma . . . there is that big leap trying to suspend any reader’s disbelief. Risk everything when you’re writing. Share a favorite image that reminds me of Wake Me Up. Not an image so much as a period of time spent in Montana after the transmission in our Suburban went kaput one August day long ago. While the car was being fixed, I got to explore the small city and loved it, loved that there was a big university there that reminded me of the university I attended in Ann Arbor, Michigan a long time ago. This would make a terrific setting for a family saga, and I imagined a lawyer there, his wife, who taught poetry at the university, and their fifteen-year-old son, who was struggling with his own secret. Describe a character relationship I love in Wake Me Up. I love the relationship Deepika has with Liv in the body of the story. Deepika is a main character, the catalyst for much of what happens in the book, and Liv is her landlord, a sage-like character who knows all but holds her cards close to the vest. She doesn’t suffer fools, and Deepika is no fool. They get along famously, drink tea together, laugh together, lean on each other at deeper moments. Why am I passionate about sharing Wake Me Up? This novel in its first rough draft was completed way back in 2005, and it’s set during that raucous election year. 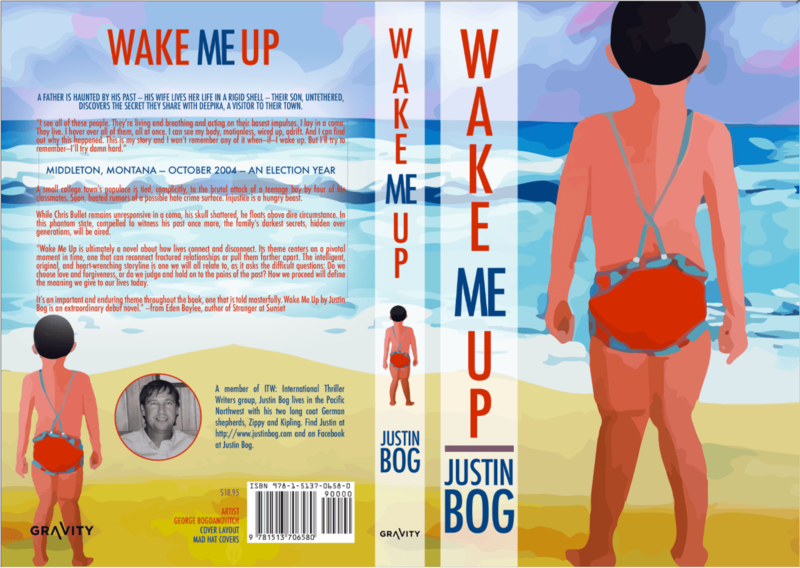 I’ve lived a lot of life since completing that draft, and Wake Me Up has gone through more than its fair share of edits, revisions, reads, proofing, and rejections and acceptance letters. And it’s all the better for the struggle I went through trying to bring it to publication. It’s also shorter, with cuts coming even right up to the end before hitting the publish button. I wanted to share the struggle of what it’s like for someone who may or may not be gay, but is leaning that way. A crime happens and takes this choice to reveal this secret from him. Why do the themes in Wake Me Up come from my heart? Being a writer who just happens to be gay, and a huge fan of Dickens and Dumas, I hope to write about social injustice from time to time. Exploring themes through strong characters and the actions they choose to take, has always been a dream. This is only the second work I’ve chosen to use a gay narrator as the storyteller, and it’s important here and not easy to pull off since the voice of this particular narrator is speaking from a nebulous, black, bleak, comatose state, something that is impossible made possible through fiction. How humans connect and disconnect from each other is a strong theme as well. Can’t we all get along and lead with kindness? Unfortunately, most don’t choose this way of living life, but it makes for complex characters and rich storytelling. 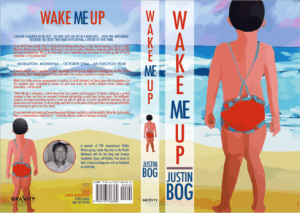 What are some of the things writing Wake Me Up has taught me? Writing Wake Me Up has taught me that everyone has a complex inner life that they hardly ever reveal, even to their best friend, wife, husband, child, partner, priest, God, Goddess, pet. For bad or good, we are not very revealing people until something traumatic happens, usually. We hear all about the great wedding, the marriage, the fast friends people make, but the divorce or the ending of a close friendship, the real reasons, are untold most of the time . . . and then gossip corrodes most of the stories told. Even the stranger passed each day may have the best story to tell . . . Tomorrow, I will be interviewed by The Big Thrill, the ITW: International Thriller Writers organization, and you can read this interview by signing up by email at their site: www.thrillerwriters.org . . . please do and let me hear from you!